With the release of the Great Gatsby this past Friday in theaters the trend of art deco, gold, pearls, silk and feathers is in full swing. We are in love with the glitz and the glamour that was seen in the movie. 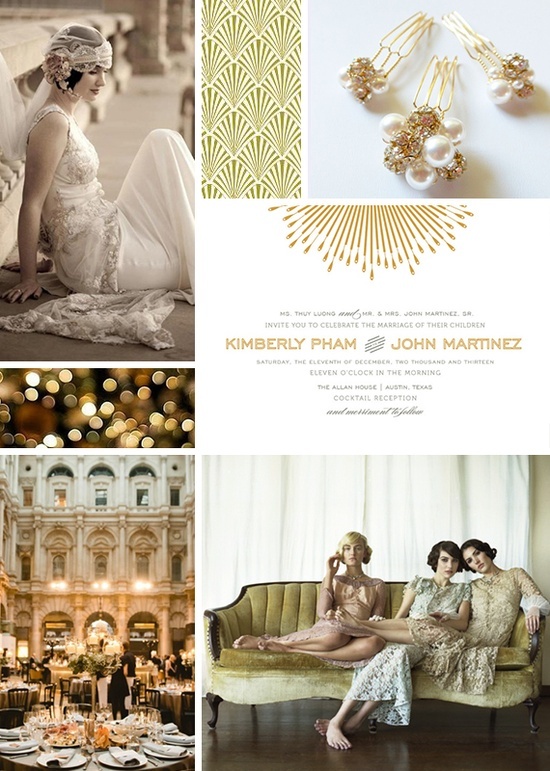 The Great Gatsby has always been a classic but the sparkle has been taken to a new extreme, which we LOVE! We recommend adding in touches of gold, glitz, sequins and pearls to your center pieces and linens. Our linens from Luxe Event Linen can help you achieve the classy feel your looking for. We have a variety of luxurious linens in multitudes of colors for you to choose from for your wedding or event.